Westbank Introduces the Newly Completed Westside Vancouver WSIX South Granville Lofts for Sale! Located at 1525 West 6th Avenue. The Boutique WSIX Vancouver South Granville Condos for Sale! See if for yourself today! Live it. Work it. Own it. Here is the perfect mix of urban lifestyle and affordable pricing at the Westbank WSIX South Granville condos for sale in the Vancouver Westside real estate market. According to Westbank’s latest email blast, you must act fast if you want to own an affordable west side Vancouver home at WSIX South Granville condos. Featuring the ultimate urban chic neighbourhood location with artistic and genuine style abound, these unpretentious industrial, urban, non-conforming and open concept South Granville WSIX condos in Vancouver real estate market are harmonious, diverise, friendly and artistically funky. For those Vancouver homebuyers, the WSIX Condos will provide you with a completed product that you can view, so there are no pre-sale waits or concerns that your condo won’t be finished on time or even completed at all. The South Granville Vancouver real estate district is diverse, funky, iconic, realy, savvy and intimate, and these new Vancouver WSIX condominiums will allow your individuality, artistic flair, vitality and self-expression come through. Both ecletic and tastefully designed, and with a contemporary yet industrial architectural feel, the new South Graville WSIX Vancouver condo apartments are part of the famed gallery row neighbourhood full of intelligent people and soulful spirit. WSIX South Granville homes for sale is the perfect mix for you. Located at 1525 West 6th Avenue, Vancouver, viewings are now being offered through private appointments only. A collaboration of Magnum Properties and Westbank is now here at WSIX Vancouver condos, a boutique South Granville property development now complete and ready for move in! ACT FAST! 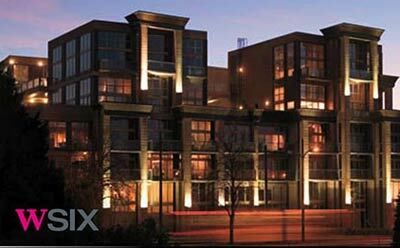 Westbank’s WSIX condo homes is a landmark address in Vancouver’s chic South Granville real estate neighbourhood. Move in today and enjoy the superb styling of this collection of cool living environments recently acquired by Westbank. Overlooking False Creek waterfront, WSIX South Granville apartment homes is just steps to Gallery Row and a nice stroll to Granville Island Public Market. From the fine shops and boutique grocers of Kitsilano to the coffee shops and art galleries of South Granville, residents at the west side Vancouver WSIX Westbank homes for sale can truly enjoy what this beautiful city has to offer. But wait, there’s more. Stroll to Granville Island where you can dine away along the waterfront, or explore the many eclectic shops and eateries, or jump on a bus to get to downtown Vancouver within minutes. A true urban location will give you many options for work, play and relaxation, and best yet, the new Vancouver WSIX South Granville condos are now available for purchase and immediate occupancy. Two level living here at the WSIX Westside Vancouver real estate development in South Granville is now being offered at bargain basement pricing. Move in today an experience an architectural icon in the centre of the South Granville Vancouver community that is full of excitement and surprises. Starting from $439,900, these incredibly priced units at WSIX Vancouver Westside condos is now releasing their fall homes with five units sale priced until November 30th, 2009! Lcoated at 1525 West 6th aVenue, th WSIX Westside Vancouver condos for sale present the best valued new South Granville development in the area. Thinking outside the box, the Vancouver WSIX apartments are very funky, contemporary and unique, giving homebuyers many options on how they want to live, sleep, eat and entertain. The landmark building features a trendy location that is close to arts schools, boutique shopping, eclectic cafes and eateries and fine dining. There is also a WSIX courtyard with open catwalks with glass and steel banisters. Because these units have been converted into contemporary suites, the Westside Vancouver WSIX lofts for sale do not have GST! Grey on grey palette is the theme in most homes and with stainless steel appliances, built in work desk spaces and built in storage, there is nothing more you could ask for in a South Granville loft. Upper level sleeping areas with floating tread stairs from glulam beams cantilevered off the wall with gigantic steel braces are features of some of the Westside Vancouver WSIX Lofts that are now selling from the low $400s. Book an appointment today for viewing these spectacular South Graville lofts! Straight from their new condo marketing site (which is great by the way): An exceptional opportunity to own an iconic South Granville real estate address backed by Vancouver’s leading property developer – a landmark building is one of Vancouver’s best locales. 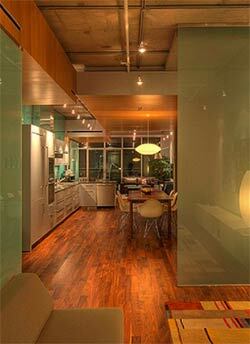 WSIX condo apartments offers superb styling and selction of Vancouver’s coolest living environments. Neighbouring lively Granville Island and Kitsilano, while anchoring Gallery Row, the new South Granville WSIX condos features fabulous views over False Creek waterfront, South Granville and downtown Vancouver. Westbank is highly regarded for its portfolio of distinctive residential properties including Living Shangri-La, Shaw Tower, The Estates, The Fairmont Pacific Rim and the historic Woodward’s Redevelopment. Westbank developments add vitality to the city, offering intelligent design, uncompromising quality and unique urban soul. The South Granville WSIX Vancouver condo apartments was recently acquired by Westbank from forward thinking Vancouver developer, Stephen Hynes, as the creative catalyst for future Westbank developments in the area. Westbank’s vision to further develop this block around South Granville Vancouver West Side in the near future will be noteworthy. But don’t wait for tomorrow. Be the first on the block. Get in now and move in today. WSIX Vancouver condos are located at 1525 West 6th Ave. Step away from the normal condo box and into WSIX, true South Granville loft living that allow syou the flexibility to match your needs and express your personal style. Live it, Work it, Own it, the choice is yours today! The Vancouver WSIX Park Suites consist of studio and one bedroom homes ranging from five hundred and eight to seven hundred and sixty one square feet. The new Urban 1 Suites at the South Granville WSIX lofts are two level residences that range in size from 665 to 816 sq ft. The larger South Granville Lofts at WSIX Vancouver are featured in the Urban 2 Suites palette that range from 812 to 1005 sf over two levels again and with open to below spaces. All of these floorplans are mainly one bed lofts and some layouts have dens/office space too. Available now, call 604 736 5638. www.wsix.ca. Other Vancouver South Granville Lofts for Sale. Come home to your own character home in the heart of South Surrey real estate district. Like your childhood, you can now create memories and experiences with your family in these beautiful presale Surrey homes for sale. Play hockey in the back lane, or learn to ride a bike. Walk the trails or job along the waterfront beaches. These are lasting memories that can be all yours if you purchase a new South Surrey Summerfield Home that are now selling. Built for families who want a home to come home to, the South Surrey Summerfield houses is a master planned community of family sized residences that are welcoming and affordable. Just a few minutes away is the prestigious community of White Rock, and with the single detached Surrey Summerfield homes that are truly customizable and with heigh unfinished basements that you can help create, there is no better South Surrey home development on the market right now. In addition, these three bedroom Summerfield Surrey homes under construction will be ready this summer and are built by some of the most respected developers and planners at Cressey Developments. A neighbourhood that will remind you of days gone by and of your childhood can now rekindle that spirit. What’s even better is that you can get into a ground level pre-sale South Surrey home Summerfield development starting from just four hundred and seventy thousand dollars! With progressive energy efficient features, beautiful interiors and low maintenance exteriors by Cressey, move in this summer into your new family home in this wonderful community called Summerfield. Within walking distance of your new Summerfield Surrey house will be tonnes of great restaurants (both casual and formal), top rated schools, activities, outdoor recreational facilities and geren space too. In addition, the South Surrey real estate community is situated right by Douglas, Semiahmoo and White Rock, three distinct neighbourhoods that you can experience and explore. From golf courses to tennis courts and from the Morgan Crossing Shopping District to a true neighbourhood feel, the pre-sale South Surrey Summerfield homes are now available for purchase. Phase 1 of the spectacular master planned single family Surry home development at Summerfield is now SOLD OUT! New South Surrey Homes for sale to be Released this Saturday at the Summerfield BBQ Block Party! The sales team and developer are excited to announce that phase 1 is SOLD OUT! That means we've decided to release more presales South Surrey homes this Saturday, September 19th starting at 12pm at our Summerfield BBQ Block Party including hot dogs, drinks, prizes and the official unveiling of our brand new showhomes! Join us this Saturday for the release of our next set of presales Summerfield homes in the South Surrey real estate market place and enjoy this brand new community as we hold our very own BBQ Block Party! Image Gallery Updated online as well. With our showhomes now fully furnished, complete and ready for viewing we have updated our Summerfield South Surrey home image gallery! Now you can simply log onto our website to get a sneak peak of our showhomes. The Summerfield Surrey presentation centre and showhomes are open everyday except for Fridays from 12-5pm at 109 172A Street in South Surrey. You can always log onto our website at www.summerfieldhomes.ca which is constantly updated with the latest news for more information or simply give us a call anytime at 604-536-1155. What's new at Summerfield Surrey Real Estate Development? 12 Homes Sold in October! Summerfield has had a busy October! Construction continues to move along and we now have several homeowners living at Summerfield Surrey homes for sale. We also have new homes under construction which you can view on our website anytime. In addition, we've sold 12 new Surrey homes in October already which means we have just 5 homes remaining and a new release of Summerfield homes coming soon! Be on the lookout for more updates in the coming weeks announcing our next release. If you haven't heard... Last week the Canadian Home Builder's Association of BC announced the nominations for their annual Georgie Awards celebrating excellence in Greater Vancouver and Surrey home building. The Cressey Development Group was nominated for 16 Georgie Awards - more than any other developer! Nominations include: Residential Community of the Year and Best Townhouse Development for Whistler's Fitzsimmons Walk community; Best Multi-Family Low Rise Development for Mandalay in Richmond; Best Multi-Family High Rise Development for Donovan in downtown Vancouver; Also for Best Multi-Family High Rise Development, Lotus in Richmond. Visit us at Summerfield Surrey Homes Today! The name may be "Summer" but autumn is turning out to be a beautiful season here at Summerfield Surrey homes for sale. Leaves are turning red and gold and are offset by the various colours on all of our homes. We have also added some special Halloween touches to our spectacular showhomes so if you haven't visited us for some time we invite you back. Our presentation centre and showhomes are open everyday except for Fridays from 12-5pm at 109 172A Street in South Surrey real estate market. You can always log onto our website at www.summerfieldhomes.ca which is continuously updated with the latest news for more Summerfield South Surrey home information or simply give us a call anytime at 604-536-1155. For those of you who have been patiently waiting, our new Surrey Summerfield showhomes are now complete and ready for viewing! To celebrate, we are holding a Summerfield BBQ Block Party at Summerfield Saturday, September 19th from 12 until 5pm. Join us and experience firsthand our brand new, fully furnished Summerfield real estate development showhomes that are simply spectacular. If you can't wait until the 19th, feel free to drop by our presentation centre for these new Surrey homes for sale open everyday from 12-5pm (closed Fridays). Response has been overwhelming with 6 home sales in the last 2 weeks alone so if you think Summerfield Surrey homes for sale is the neighbourhood for you, we encourage you to visit us again. Construction Progress Photos are now online. We know watching your presales Surrey Summerfield home being built is exciting so in order to make it easier for you and everyone who is watching this exciting new community develop we have added a new page to our website. Under our Community section on our website there is now a page to view progress photos of every home under construction here in this new Surrey home real estate development at Summerfield community. Visit http://www.summerfieldhomes.ca/community-progress-photos. 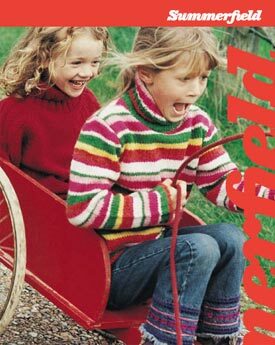 Summerfield Facebook & Twitter: Don't forget, you can also follow us on Facebook and Twitter. Click on the icons on our website for updates. We look forward to seeing you at our brand new Summerfield Surrey home presentation centre soon! For more information you can always call the Summerfield Sales Team at 604-536-1155 or visit us online at www.summerfieldhomes.ca. The Summerfield Surrey houses are highly customizable and the three bedroom floor plan layouts are built with great foundation, quality and value. Energy efficiency is also a key driver to protecting the environment around us, and Cressey Developers have certainly integrated some great features into these Summerfield South Surrey homes for sale. With the residences starting from just $470k, homebuyers will have the ability to choose from various colour palettes and exterior detailing. With the best building materials and quality craftsmanship, these highly customizable South Surrey Summerfield homes will provide unique living residences and the character homes will all be unique (there are no identical floor plans, exteriors etc.). You can have cozy front porches, roof lines and professionally landscaped yards. IN addition, each of the South Surrey Summerfield homes for sale will have unfinished basements with overheight ceilings, which will allow you to transform your space with ease. Whether you want a home gym, office space, extra bedroom, workshop or a media room, the basements at the pre-construction Surrey Summerfield White Rock homes will certainly allow you to customize it the way you want to. Located in a quiet and unique South Surrey neighbourhood, the Summerfield homes are truly a once in a lifetime opportunity. The South Surrey real estate development at Summerfield Homes will be Built Green. Ensuring the protection of the environment for future generations is what the Summerfield Surrey homes will provide. With energy efficient features and with Built Green Silver Status by BuiltGREEN Canada, the Summerfield Homes in South Surrey real estate market will provide healthy living for families and will cost less to maintain, own and heat short and long term, creating an investment property that you cannot dismiss. As one of the top builders in Canada, Cressey has developed over two hundred successful developments across Greater Vancouver with over forty years of experience. Not only that, by the South Surrey Summerfield homes for sale certainly push the limits on living Green and BuiltGREEN construction, which is a defining factor when it comes to new projects in the area. For more information about Summerfield, please do not hesitate to contact MAC Marketing Solutions, the official sales and marketing team for this South Surrey property. Or, you can also visit the Summerfield Homes website located online at www.summerfieldhomes.ca. Be a part of a new community close to the White Rock Promenade, Dr. R.J Allan Hogg Rotary Park and over eighty acres of urban and natural green space in White Rock. From community events in White Rock, Cloverdale and the Children’s Festival, the pre-sale Summerfield South Surrey homes for sale are certainly in the heart of all the action for all lifestyles and ages. Some of the pre-sale Surrey homes are now previewing with the exteriors almost complete as of June 2009. Expected occupancy for these BuiltGREEN Surrey homes will be this summer. Thank you for your interest in Summerfield. Proudly developed by Cressey, Summerfield Surrey houses is an affordable community of family homes that make up a neighbourhood just like the one where you grew up. Best of all, we will have South Surrey homes available to move into this summer! The Summerfield Presentation Centre is located at #109 - 172A Street, South Surrey BC or you can call 604.536.1155. A September 2009 update on the new South Surrey homes for sale at the master planned Summerfield South Surrey community: A neighbourhood of highly customizable and affordable three bedroom character Surrey homes for sale, Summerfield features a rich variety of colour palettes, exceptional finishing’s, and a host of progressive energy efficient features. Exteriors of these single family South Surrey Summerfield homes for sale are eye catching to say the least with shakes, stonework, dentils and knee braces and no two neighbouring Summerfield Surrey homes are alike, making this master planned community unique, eye catching and well designed. In addition, the new Summerfield South Surrey single family homes for sale are close to more than 12 parks, 9 schools, 5 golf courses as well as the new Morgan Crossing Shopping District, tonnes of community and recreational centres. Best of all, the new South Surrey Summerfield homes for sale are priced from just $490,000s and they are ready to move into too. The Summerfield presentation centre is now open from noon to five except Fridays on site at 109 – 172 A St in Surrey BC. For more information, please call 604.536.1155 or visit www.summerfieldhomes.ca today. 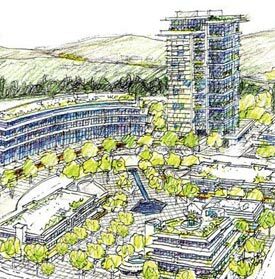 The proposed master planned development at the Seylynn Village North Vancouver project got one step closer to fruition in October 2009 when council members voted unanimously for the project to go forward. Located in the Lower Lynn North Vancouver real estate district, Seylynn Village proposed development will see the addition of a six hundred and ninety unit community in the District of North Van. According to the intial master plan, the North Vancouver Seylynn Village real estate community will be sustainable with LEED Platinum rating, the first of its kind in the district. In addition, these environmentally friendly condos, townhomes and homes will offer an affordable housing component to make sure that the entire neighbourhood is generational and sustainable. The LEED Platinum certified North Vancouver Seylynn Village development will see a community developed between the cross roads of Mountain Highwya, Trans Canada Highway and Fern Street, which is at present a very old and crumbling neighbourhood of single family homes. The proposed Seylynn Village north Vancouver real estate development will see the construction of two twenty five storey condo tower buildings in addition to several other residential buildings up to ten floors in height, maximizing the density in this region. The builder and developer behind the Seylynn Village project is Hynes Development and about seventy condo units (or about ten per cent of the total number of market units available at North Vancovuer Seylynn Village) will be dedicated towards affordable housing. These affordable housing condos at Seylynn Village North Van will be sitatued in a completely seprate building from market unit condominiums. Other Seylynn Village housing types include live/work condominiums, traditional simplex condos, high end homes as well as condos with North Vancouver lock-off suites, again the first of its kind in the district. As part of the proposal, Hynes Development is also making sure that a future strata council cannot restrict rentals in this community, allowing a good balance between owner occupied and renter occupied suites for many years to come. Hynes Development has received approval from the District of North Vancouver for the proposaed Seylynn Village master plan, the bylaws, traffic, and housing agreements, but there is much work to be done before building permits are granted and construction begins. The Lower Lynn North Vancouver real estate district is in dire needs for a revitalization, and the Seylynn Village proposed master plan is the first step in providing affordable housing units to anyone who wants to live here. If everything goes according to plan, it is expected that building permits and construction may begin sometime in mid 2010. Once a pipe dream, the revitalization and redevelopment of the Lower Lynn neighbourhood called Seylynn Village appears well on its way to reality. The District of North Vancouver council has formally approved the zoning for this Lower Lynn development which represents a unique and iconic alternative housing project on the North Shore. The second and third readings for the rezoning and development bylaws for North Vancouver Seylynn Village were approved on July 6th, 2009 and many members of council are supporting this project faithfully. Not only was the project embraced by City Council, but also current residents in the Lower Lynn community who will sell their houses and see the revitalization through. An eye opener of a community, the Lower Lynn, soon to become the Seylynn Village North Vancouver neighbourhood was in disarray from rotting houses and decrepid residences that were never renovated or revitalized, leaving a tarnished image of the area. According to Councillor Lisa Muri, who adamantly opposes densification of Capilano, Lynn Valley and Seymore Districts, the proposed Seylynn Village North Vancouver real estate project which consists of multi-family housing in the form of condos, townhouses and affordable housing is quite different as it is a sustainable and alternative housing project. This single family home neighbourhood located at Fern Street between Highway 1 and Mountain Highway will be rezoned for multi-family housing in addition to commercial complexes and parking in the master-planned North Vancouver Seylynn Village community project which will be the site of 690 new Seylynn Village condos of which seventy will be dedicated to affordable rental units for low and middle income individuals. The parking situation for the market condos at the Seylynn Village condominium development was increased to 1.2 spaces per market unit from 903 to 919 residential parking spaces in this hearing as well. According to the North Shore News, North Shore residents came out in droves to somewhat support the proposed North Vancouver Seylynn Village master planned redevelopment project. However, traffic concerns were also at the top of the discussion list here at the public hearing. According to Sarah, the public hearing for the Seylynn Village North Shore property development project drew strong support and the council chambers were packed with more than one hundred and twenty five participants. The proposed changes and redevelopment of the Seylynn Village North Vancouver real estate site would also allow construction of the huge housing condo projects on a five acre parcel at the north eastern end of the Lower Lynn North Vancouver neighbourhood. The redevelopment plan has been put forward by a leading developer in green and environmentally sensitive construction practises at Hynes Development Inc. and the Seylynn Village North Vancouver real estate property will feature four, six, ten and twenty five storey condominium buildings totalling about six hundred and twenty mixed use and multi-family North Shore condo units for sale. In addition, the proposal for this redevelopment by Hynes Development Inc for the North Vancouver Seylynn Village project will call for more than fifty thousand square feet of commercial space that will have shared underground parking throughout the neighbourhood. As part of the Hynes Development Seylynn Village real estate development proposal, there will also be the construction of 70 affordable housing units on site. Many residents who have been opposed to any new revitalization of the area or change in construction bylaws to allow for multi-family units on single family lots are actually now supportive of the Seylynn Village Hynes Development in Lower Lynn citing that is is about time for affordable housing units and new affordable North Shore condo units to be constructed within a master planned community such as this. Many people expressed excitement over the design and affordability of the new suites here. The plot is largely zoned for single family residences at the moment and the Lynnmour Grocery Store at 638 Mountain Highway will not be part of the revitalization and redevelopment project by Hynes Development Inc. Some of the great features of the Seylynn Village North Vancouver Lower Lynn redevelopment plan is that it has a great proximity to Lynn Creek trails, Park and Tilford shopping Centre, North Shore Winter Club, Seylynn Park as well as Phibbs Exchange and is a great location to live in you currently go to Capilano University. At the south east end of Seylynn Village Hynes Development project, there will be 70 rental units for affordable housing for moderate income individuals or families. The entire build out of the Seylynn Village North Vancouver real estate development is slated to take up to ten years time, and would eventually become a phased project. There will be lane, road and traffic changes around the community as expected. Highly touted as one of the up and coming revitalization projects in the North Shore real estate market that will bring abouts a great mix of affordable housing units, the proposed Hynes Development Seylynn Village community is expected to get the green light to start construction later in 2009. However, there are great concerns right now for current renters as to the viability and availability of the new affordable units at Seylynn Village that will be given to moderate income earners. Many of the current renters here in the Seylynn Village Lower Lynn community are already paying a lot for their rent, and are concerned that they will eventually be displaced from their rental home if the Seylynn Village proposal gets the go ahead. The new affordable housing units will be used to place individuals that require the suites the most, and they may not be the people who are currently renting in the area. Adjacent to the Iron Workers Memorial Second Narrows bridge, this most sought after area is going to introduce new North Vancouver condo suites in high-rise, mid-rise and low-rise residential buildings, most of which will be priced higher than any current renter can afford. In addition, the 70 affordable housing Seylynn Village North Vancouver units may not even come up onto the market until a few years down the road (as it is not the first phase of the Hynes Development), and therefore, current renters in Lower Lynn will be displaced possibly right before the 2010 Olympic Games, when affordable rental units are going to be scarce. In any case, there are grave concerns that many people will be displaced out of their current rental situations, and may not be able to afford to move or find another alternative from now until the Seylynn Village affordable Hynes Development suites are built. Even then, they are unsure as to whether they will be able to purchase or rent any of those affordable housing units. The latest news on one of the biggest North Vancouver real estate residential developments will be going to public hearing after all. According to the North Shore News newspaper, the most trusted resource on new North Shore property developments, the Seylynn Village North Vancouver property development will be one of the largest residential projects ever with a proposed six hundred and ninety housing units. According to Saray at NS News, this mixed use North Vancouver Seylynn Village property development proposal will see the addition of up to 690 residential condo units added to the District of North Vancouver housing stock. The location of the District of North Van property will be at Mountain Highway and Fern Street. The public hearing for North Vancouver Seylynn Village development will be happening on June 16th, 2009. The neighbourhood for this proposed residential project is in the Lower Lynn North Vancouver community, that has been run down through decades of neglect, and the proposal to revitalize the area has been ongoing since 2002. With positive change as the catalyst for the public hearing for the Seylynn Village North Vancouver real estate project underway, the District City Council approved the bylaw process for the comprehensive redevelopment of the entire community which will include about six hundred and twenty market condos for sale as well as live/work Seylynn Village apartments in addition to the much needed seventy affordable North Shore rental apartments. There will also be fifty thousand square feet of commercial space proposed for the Seylynn Village North Van development. The builder that originally put forth the redevelopment proposal was Hynes Development and the plan with submitted in Sept 2006 and revised in Feb 2008 to meet the District of North Vancouver Official Community Plan. According to City Council, the redevelopment of the Seylynn Village will benefit not only the business community, but the entire area of course. The Seylynn Village public hearing is happening on June 16, 2009 at 355 West Queens Road in North Vancouver. Seylynn Village Condos and Live/Work Apartments A Go? The proposal to City Council in June 2009 asked for the redevelopment of the Lower Lynn North Vancouver real estate community and was code named Seylynn Valley. The potential benefit to the entire District community will be over twenty one million dollars with the development of many housing options that will include Seylynn Valley live/work apartments which will be zoned legally for those individuals looking for a home office or home-based business. This will also allow for lock-off units and suites that are perfect for North Vancouver student housing in Seylynn Village real estate development. The more affordable Seylynn Village rental suites and affordable housing for seniors and those with disabilities and fixed incomes will also be integrated into the overall North Vancouver project. This will give those people a choice of more affordable North Vancouver housing that is severely lacking right now. The Seylynn Village North Vancouver property development calls for the construction of eight residential buildings that range from low rise buildings of four storeys to high-rise residences of 25 levels. These will include North Van market condo housing for sale as well as the live/work apartments explained above. This will be one of the largest District property developmets in the history of the city, and will forever transform the Lower Lynn district into a desirable live and work community that will be vibrant and ever evolving. As part of the bid for the redevelopment of the Lower Lynn North Van area, the Seylynn Village proposal also includes over $21M worth of neighbourhood upgrades that will help revitalize this area. According to the city planners, some of the largest benefits to the Seylynn Village community will be the Seylynn Hall and Seylynn Park upgrades and improvements (worth more than $2.5 Million) in addition to the housing parcel for the District of North Van at $4.4 M. The other major benefit to the North Vancouver Seylynn Village property development is the affordable housing component which will be worth more than $4.8M in construction of these much needed rental units. With a lot at stake, the public hearing will be your chance to voice your opinion on this master planned North Vancouver Seylynn Village proposal. Overall, the proposal looks good and the benefits to the Lower Lynn community cannot be discounted. The Seylynn Village redevelopment will also bring more affordable housing as well as much needed market condo inventory to the area to allow for sustainable growth in the District. The Seylynn Village masterplanned North Vancouver real estate development community proposal is brought to the public hearing in June 2009 by a number of well established companies including Hynes Developments, Joe Wai Architects Inc., Donn Vaughan, James Hancock and Holland Bars. With approximately 700 new North Vancouver condos and townhouses for sale in this proposal with various housing types including affordable North Shore housing, the Seylynn Village proposal is a master planned community that will ensure the viability and sustainability of the area for generations to come. With housing for singles to couples and from families to retirees, the North Vancouver Seylynn Village real estate development proposal will include highly adaptable housing units, live/work townhouses, live/work apartments, mingle condominiums, affordable housing and smaller spaces. In addition, the zoning of the Seylynn Village North Vancouver proposal will allow for lock off suites (similar to the Burnaby lock-off ‘basement suites’) for more rental housing. Also, there will be family friendly neighbourhoods, and much more. The entire North Shore Seylynn Village community will have a professional landscape, public art plan as well as accessible living that is close to linkages, access and transportation routes. One of the core philosophies by Hynes Development for Seylynn Village is the sustainability and a strong sense of protecting the environment for the long term. The community will have 50% less emissions, BuiltGREEN, possibly LEED certified North Vancouver condos for sale and the construction will be earth friendly. 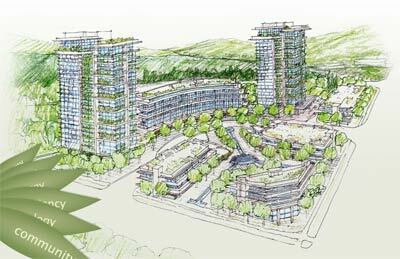 The location of the pre-construction Seylynn Village condos is between Upper Levels Highway/Trans Canada Highway, Mountain Highway and Fern Street in the District of North Vancouver real estate market, next to Lynn Creek Park in Lower Lynn community. Visit the Seylynn Village North Vancouver Development Website at www.seylynnvillage.com. If you are looking for a new Surrey home for sale, look no further then the pre-sale Clayton Heights Gramercy Park single family homes that is now open from 1-5pm except on Fridays. The definition of Gramercy is used to express surprise or gratitude, and the new Surrey real estate development here at the Clayton Heights Gramercy Park homes for sale definitely exude a surprise amongst new homebuyers who are looking for the best value in property. With only eleven exclusive three bedroom Surrey single family homes for sale in which five of these new Clayton Heights homes having coach homes (for rental income), you can now purchase a new presale Surrey home starting at just $469,900. Here are some of the incredible offers at the Gramercy Park Surrey homes for sale: extra deep soaker tub, upgraded Moen bath fixtures and enhancd lighting selection and package. In addition, these presale Surrey homes for sale at Gramercy Park Clayton Heights single family homes will feature spacious vaulted ceiling coach homes for five of the eleven houses, real hardwood flooring and stainless ssteel appliances that are standard with each purchase. New homebuyers here at the Surrey Gramercy Park homes for sale will also enjoy a tiled mudroom and laundry hall with large closet for extra storage in addition to an elegant ledgestone fireplace surround. Other features of these Clayton Heights Surrey homes at Gramercy Park includes Ceaserstone kitchens as well as corner walk in pantries in the kitchens. Visit the sales team of Terry and Caroline at 6827 193B Surrey real estate market today for more information about the prestigious Gramercy Park Clayton Heights home community now selling. Also, you can get more details online at www.gramercy.ca. With all the properties you can choose from in the new Clayton Heights Surrey real estate neighbourhood, most homebuyers are looking at the Gramercy Park Surrey single family homes with awe. Great value, convenient location and an above average community is now offering large single family homes for sale in the Gramercy Park Surrey development. With detailed floor plans now available for download, you will definitely find a space that fits your lifestyle, your family and your expectations. And from comfort to style, awesome architecture and low maintenance living, the pre-construction Surrey homes at the Gramercy Park at Clayton Heights development is turning heads and offering the best value in any development in the area. With red brick brownstone architecture with a West Coast contemporary flair, the pre-sale Clayton Heights Gramercy Park Surrey homes are just minutes away from the Langley border and all of its city centre amenities, services and community amenities. The Clayton Heights Langley real estate property at the Surrey Gramercy Park homes is literally designed for you in mind from bottom up. A master planned Surrey real estate development that features a wealth of various housing types for all lifestyles, these homes are also close enough to downtown Vancouver if you work there. Featuring the Travelers Guarantee Home Warranty and much more, these luxury Surrey homes for sale won’t last long! 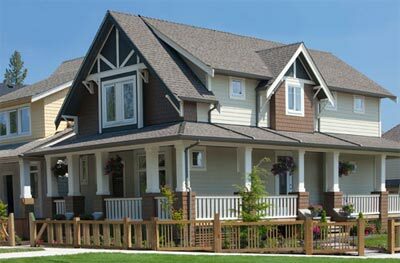 All pre-sale homes here at the Langley border of Surrey real estate market will be prewired for security system, smoke alarms and wil have the two/five/ten year home warranty for any new home purchase. The pre-construction Clayton Heights Gramercy Park single family homes will also feature stunning interiors that include garages, vacuum rough-in, gas fireplaces with surround, high-speed internet and cable wiring, nine foot ceilings on the main floor, pocket office in some floor plans, large master bedrooms with vaulted ceilings as per plan as well as master ensuite bathrooms with tub and shower combinations. In addition, the pre-sale Surrey homes for sale at Gramercy Park Clayton Heights community will include a laundry hall, engineered stone in the powder room and kitchen as well as open concept layouts for today’s lifestyle choices. Other interior features at the pre-construction Surrey homes at Gramercy Park includes six appliances, berber carpeting in the bedrooms, hardwood flooring in the main living areas as well as a large kitchen with bar area. Some of the exterior highlights at the Gramercy Park Clayton Heights homes includes easy maintenance, basement entry/exit, black shutters, window boxes in select floor plans and lots of large windows that allow plenty of natural light into all living spaces. Also available in the Gramercy Park Surrey homes for sale are brownstone inspired exterior architecture, vinyl siding and covered entries. 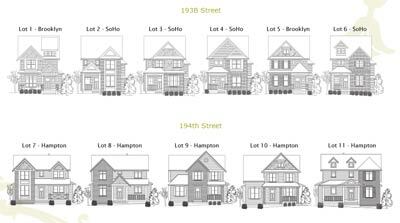 The 3 available Gramercy Park Surrey home floorplans include: SoHo, Brooklyn and Hampton. You can view the exterior facades of the new Surrey homes for sale on 193B and 194th Street online. If you require more information regarding the pre-construction Surrey home development at the Clayton Heights Gramercy Park project, please visit 68th Ave and 193B St or talk to Caroline or Terry at 604.551.0909. Visit www.gramercy.ca/gramercypark/index.html for their home marketing website. This new Surrey Langley home development is now releasing its first phase of sales. Introducing the next evolution of East Clayton Surrey real estate market. Hot on the heels of Gramercy’s success, Gramercy Park East Clayton Surrey homes for sale offers a selection of single family, detached houses with coach house, landscaped yards, and stand out architecture featuring tumbled brick facades, for a truly sophisticated and traditional West Coast look and feel. Approximately eighteen hundred square feet in size of finished space plus unfinished basements are presented here at the East Clayton Gramercy Park Surrey single family homes for sale. The prices for these new Surrey East clayton houses is between $449,900. For homebuyers who are looking to finish their basements, the options are still under just $550,000 for a new Surrey home for sale. The showhome here at the Gramercy Park Surrey homes is noe opwn at 6728 – 193B Street in Surrey’s East Clayton neighbourhood. For more information, visit www.gramercy.ca or call Terry or Caroline to book a special appointment viewing.